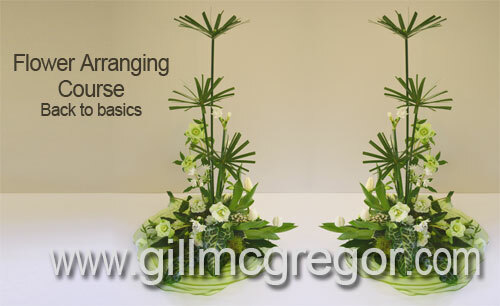 I have been asked by many people to offer beginners/refreshers flower arranging courses to teach the correct construction of the listed designs below and to explain how the elements and principles have been applied during each of the construction. In order to ensure correct construction all materials are provided -so all you need to bring is a pair of floral scissors, a notebook, a camera and a packed lunch - drinks will be provided. #1. Triangular free standing arrangement and circular shaped table arrangement. #2. Horizontal free standing arrangement and complimentary diamond table arrangement. #4. Asymmetrical free standing triangle free standing arrangement and an oval table arrangement.